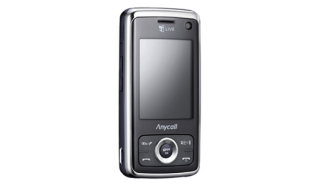 Samsung revealed two eco-friendly cell phones this week at the World IT show in Seoul, South Korea. Both the W510 and the F268 are made from what they’re calling “bio-plastic,” made from a corn extract instead of from oil like traditional plastics. It also uses a water-soluble coating on the outside, and no heavy metals like led or cadmium were used in the phone’s production. The F268 has even more “green” credentials, as Samsung says it does not contain any toxic brominated flame retardants or PVC elements. It is an Energy Star device, rated by the U.S. government to be energy efficient in the same way dishwashers and dryers are. It also has an alarm that’s triggered when the battery is full, so you don’t waste energy sending a charge to a full phone. There’s only one drawback so far: Neither phone is headed to the U.S. yet. 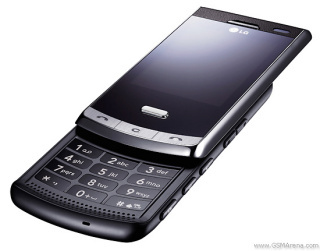 The W510 is being marketed to Korea and the F268 to China. Samsung rival LG is also rolling out a new product at the World IT Show. Theirs is the LG Secret, a replacement for the LG Chocolate and the LG Shite. It’s made the traditional (chemical-heavy) way, but the Secret’s claim to fame is its small size, just 11.8 millimeters thick. That makes it the thinnest 5-megapixel camera phone available. The LG Secret was introduced to the European market earlier this year before its debut in Asia. It will appear in South America next before heading our way. Swabbin’ Yer Cheeks Now Quickly Reveals The Black Lung. Avast! They named a phone LG Shite! ?